Fantastic, I'm lovin 'them all over again and ptobably will again, good to hear Victor again for sure. the companions of the hall are back and it's a long struggle before they are together. 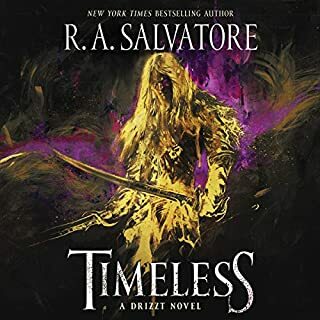 one of my favourite Drizzt books so far. That was just what i needed! 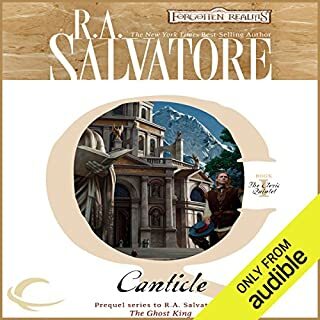 I listen to the books at work, when alone or driving, fortunately i was able to finish this book in 2 days, i could not leave it once i began. I will be honest i havnt liked the books in the Neverwinter trilogy much, Last Threshold was not too bad. 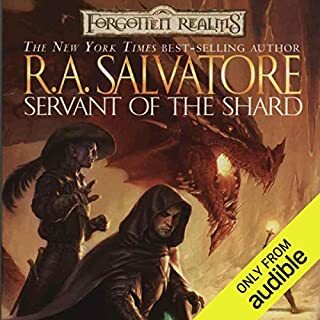 I also wasnt sure i could forgive RA Salvatore for making good old proud Pwent into a vampire without any seemingly deeper meaning. Some of us are sentimental you know. I was dubious about the idea of reincarnation of the heroes, they did so well in life and how could a new life live up to that. Back with the swing of a notched axe! 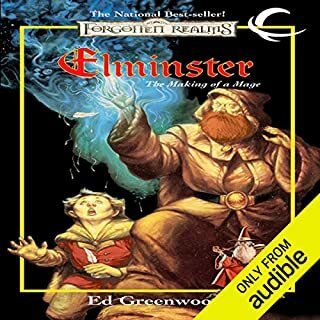 I wont bring any spoilers but it brought me back to the days of the halflings gem, only this time i already love the characters and been thru so much. There's a great story here, both for those old school fans and newcomers. There are lots of references to adventure of old, that long time readers will appreciate. Yet this is well balanced with character development which allows it to be a great jumping in point for first time readers/listeners. Well written and well narrated. Reincarnation. Soulful reflection. Perfection of self. The inner journey. 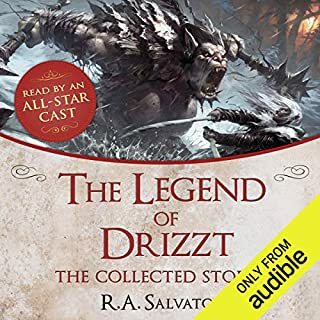 Within these themes Salvatore packs a captivating adventure for each of the heroes Bruennor, Catti-Brie, Regis and for a time, Wulfgar. 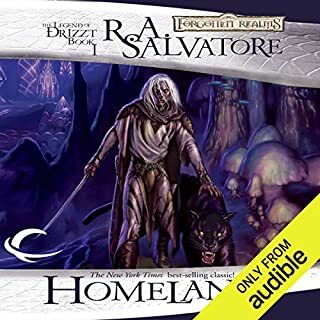 The divinely appointed mission to aid Drizzt in his hour of need is a cleverly crafted tale of commitment to the bonds of friendship between the Companions of the Hall. 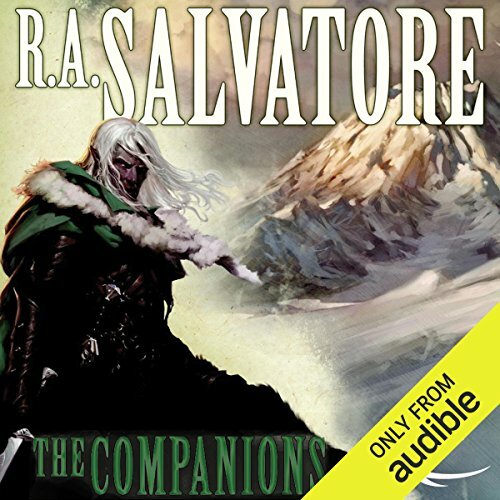 Another fantastic story wonderfully written by R. A. Salvatore as always and Victor Bevine is amazing! Turgid writing and awful narration. I got about 2 hours in but couldn't finish it.